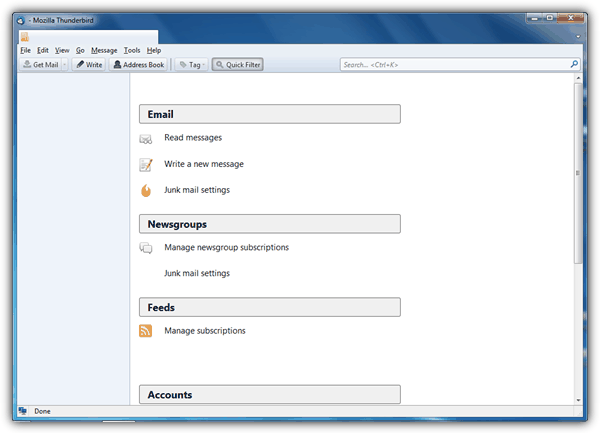 Email client software allows you to easily check all your emails from multiple email accounts by automatically downloading them to your computer via POP3 or IMAP protocol. It also allows you to send out emails by just launching the program without going through your web browser and manually logging in. Another advantage in using an email client software is you are able to access the downloaded emails and view them in offline mode which is very useful if you do not have an Internet connection at that time. There are quite a few email client software and Microsoft Outlook which comes together with Microsoft Office is one of the most used email clients in corporate environments due to its powerful features. As for Windows users, they are able to download and use the Windows Live Mail provided by Microsoft for free which replaces the old Outlook Express. Although there are many advantages in using an email client software, they are however tied to the computer that you installed to. This limits the user from being able to manage their emails when their computer is not with them. Thunderbird is a popular email client software by Mozilla, the same company that develops one of the most used web browser today called Firefox. It supports plugins and extensions which allows you to add more custom features to the email program. Mozilla Thunderbird is free and highly recommended but do take note that the portable email client version is not officially released by Mozilla. Pegasus Mail is one of the oldest email client that is still being maintained today. The installer by default extracts the program to C:\PMAIL but it is in fact portable where the whole folder can be copied to another location such as the USB flash drive. Just make sure that the “roaming mode” is checked during installation. Pegasus Mail is free. 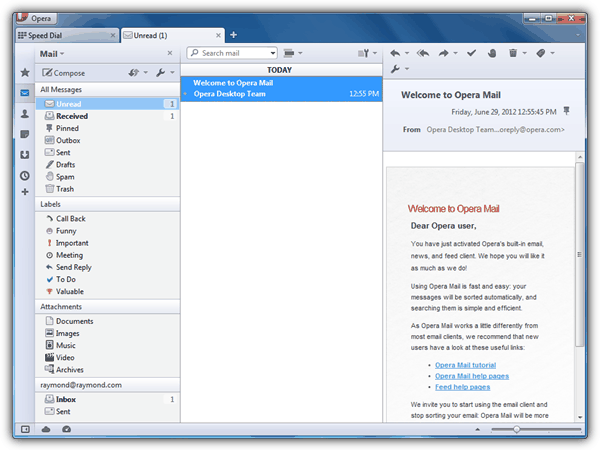 Opera is another popular and free web browser that comes with a built-in email client feature. The portable version is also created and released by PortableApps, the same group that releases the portable version of Thunderbird. Becky! Internet Mail is a shareware email client software and it comes with a feature that allows you to copy the files to a USB flash drive. Click on the File from the menubar and select “Sync with Portable Media”. Then specify the sync name which will be used as the folder name on the portable media, followed by selecting the media. 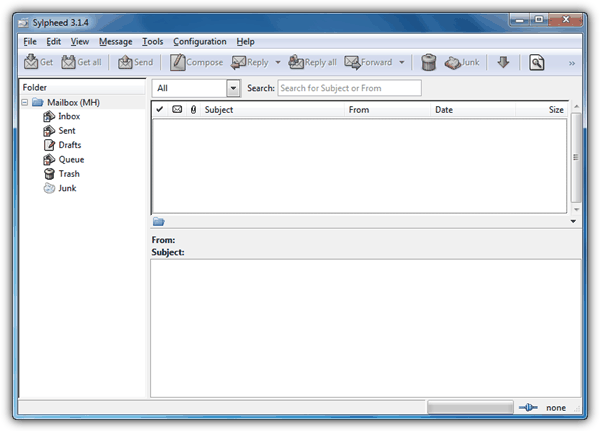 Slypheed is a free and open source email client software that is lightweight and user friendly. By default it is already a portable email application and you can simply download the zip archive version and extract it to your USB flash drive. 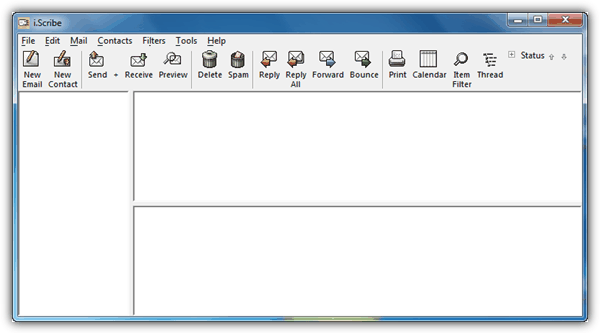 Koma-Mail is a free email client software that has been around for some quite time. Download the portable version and on the first run, select “Koma-Mail directory” as the location to store the data. i.Scribe is yet another free and portable email client that has been around for many years that comes with a built-in spam filter engine. The stable version was released about 4 years ago but recently they have been releasing new beta versions. When you first run i.Scribe, just click the Yes button when asked if you want to keep the options and mail folders in the application folder. 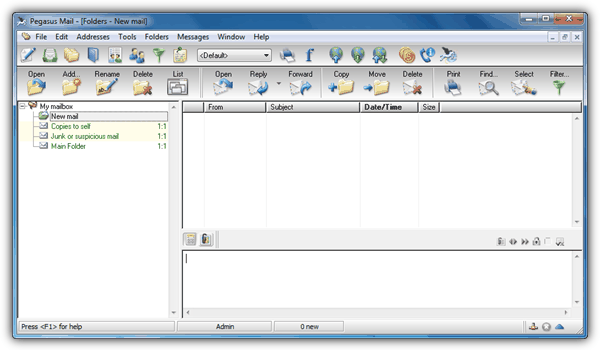 EmailVoyager is developed and sold by Poco Systems, the same company of the outdated PocoMail PE. The portable email software comes in a custom made USB flash drive. The Bat! Voyager is the portable version of the popular The Bat! 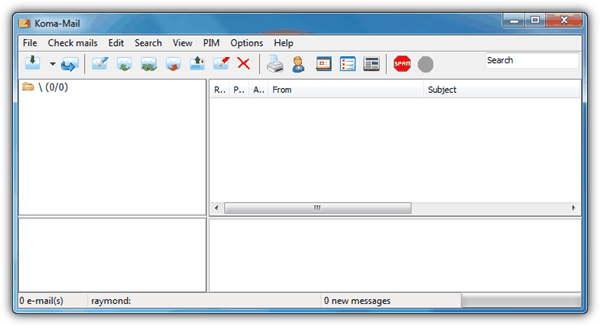 email client software. It is a shareware and the license is automatically included when you purchase the Professional license. The Bat! is well known for privacy where it encrypts and password protect the messages and address book. 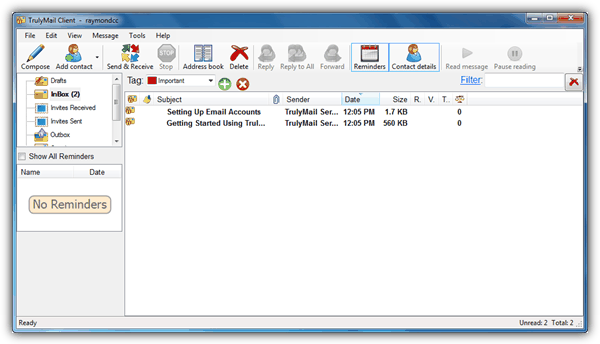 TrulyMail Portable is a free email client software. It differs from the rest of the email clients because it requires you to first create an account at TrulyMail and then only allowing you to add your own email accounts. There you have it, 10 portable email client software that are current and maintained. PocoMail PE, JBMail and Tech-Pro POP3 Pal has been removed from the list because it is outdated and no longer being maintained. My all-time favorite has to be Kaufman Mail Warrior. It was around 0.5Mb, single dir, no loading times, just sweet. Unfortunately it was abandoned back when, still works though if you just want a simple no-install client. Currently looking up small portable clients, I became aware of Popcorn, which was abandoned much more recently, also <1Mb and supports SSL. Haven't tried it out yet. I will recommend you if can do a special note on this software, please give it a look! I use it in my home pc, my lap and my office. The guy (developer) is on top of the upgrades always, and answer email/questions, we made good friends each other doing that. He loves to get feedback. I just want to put in my vote in for Koma-Mail.. Extremely light on resources, making it fast and since USB drives don’t have the speed of a HDD this is a huge Plus. It’s features are enough for a email client. No bloat, just does the job. This is what i was actually looking forward for. mountains of best wishes to you . 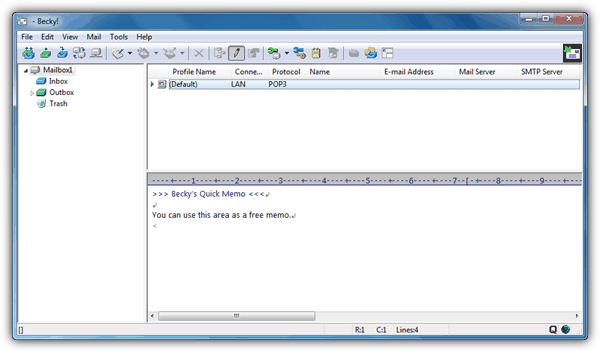 Believe it or not I have been using my Eudora 7 as my portable eMail client. All I did was copy the folder where Eudora is installed on my Hard Disk to a folder in my USB key under MyApps in Liberkey, then I added a shortcut in LiberKey so I can launch Eudora. The only modification I had to do to to the Eudora.ini was to change the path and folder from where it was on the Hard Disk to the path where it is now on the LiberKey. One more thing I changed on the LiberKey copy, was to check for each account to “Leave Mail on the Server” in the options. By doing this I can download the mail while I am away, but later I can download it again when I am at home, it is then when it gets deleted from the server.